Home Accounting Meaning of Bank Reconciliation Statement in (BRS) Tally ? Meaning of Bank Reconciliation Statement in (BRS) Tally ? 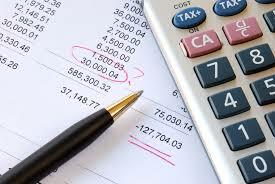 You need to the following statements for process the Bank Reconciliation Statement (BRS). BRS is a comparing the Company's bank account with the Banker's statement. Some time Company's bank account balance does not match to the Banker's account balance. So you need to find the difference between the two accounts. Normally there are three type of reasons you can find for differences between Company's bank account and Bankers statement. a) If you issue a cheque to a party, but the party not presented the cheque the same date / not clear the cheque the same date. b) If you have receive a cheque and presented into bank, but that cheque not clear the same date. c) Bank charges debited by bank, but this transaction is not entered the same date in company's account. The above reasons Company's bank account balance does not match to the Banker's account balance. In this reasons you must reconciliation company's bank book with the bankers book to equalize the difference. After the person in question gets it, an information section assistant will type your answers into the modernized IRS frames.